Never miss a visitor when either upstairs, downstairs, in the bedroom or in your garden shed. This model has the added versatility of being used as a portable pager for use in the office, workshop, garage or reception area. Up to 100m range and 75 dB noise level to give you that warning when someone needs your attention from far away. 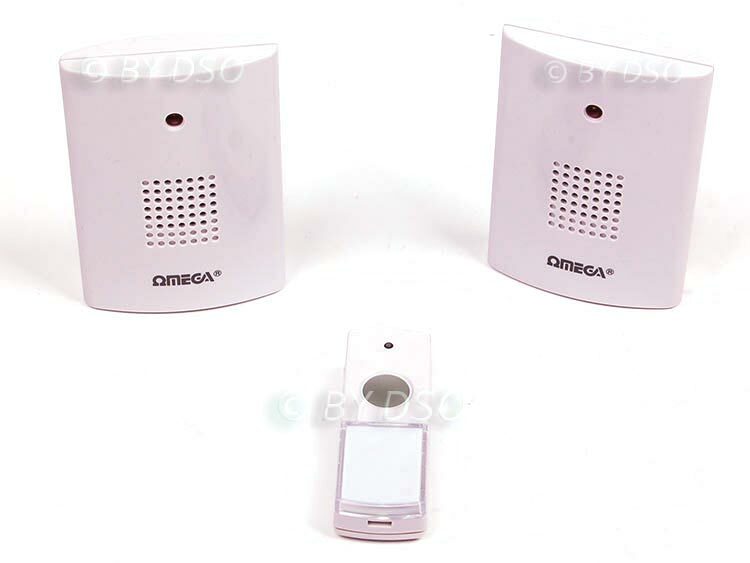 Could also be used as a paging system in a warehouse or office as each chime has a clip on belt so could be carried around and when the ringer is depressed in reception the employee know he is needed. Simply attach clip a chime to a belt and its a paging system or attached to your belt when your in the garden and never miss a caller again. Every home and workshop needs one. The melody selector is located inside the push button unit, a small switch on the top right corner of the battery compartment markes with a "S". Push button requires 1 x 3V CR2032 Battery - included.